hotpinkaurora shows us her Valentine's striping manicure. TheNailasaurus shares with us her green and gold Sally Hansen nail art. CANDY COATED TIPS shows us her acid wash manicure. Miranda's Makeup & More swatches some NYX lipglosses. Haute Lacquer shows us her tribal nails. Smashley Sparkles shows us her nail look using the acid wash technique. 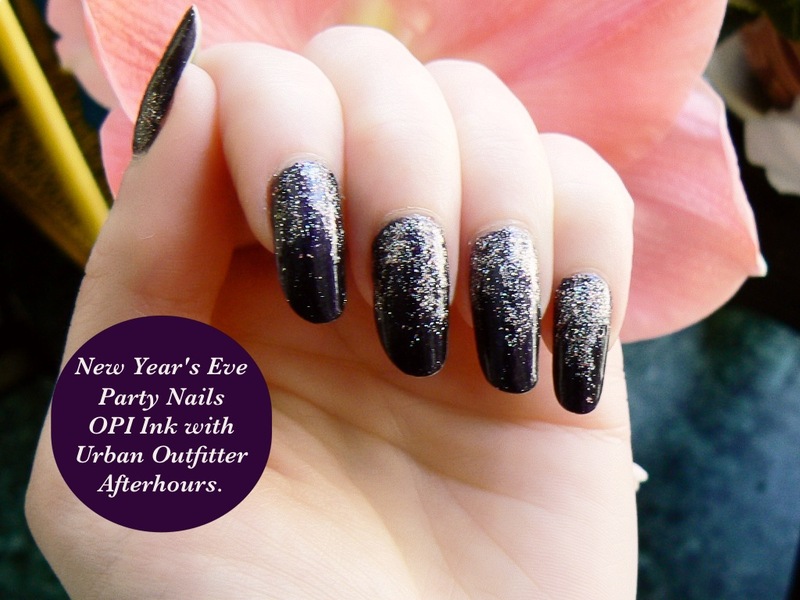 Manicure Description: This is OPI Ink with a glitter gradient using Urban Outfitters Afterhours. UO have great nail polishes, you have to try them. They are pretty affordable too. Bought 2 for 8$. Favorite Polishes: These days it's OPI Ink and Urban Outfitters Glitter polishes. Thanks for posting my mani. 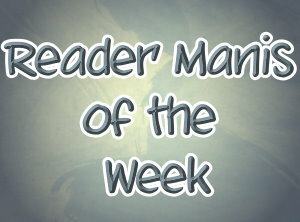 Thank you for the mention! I am so late on posts but I appreciate it!